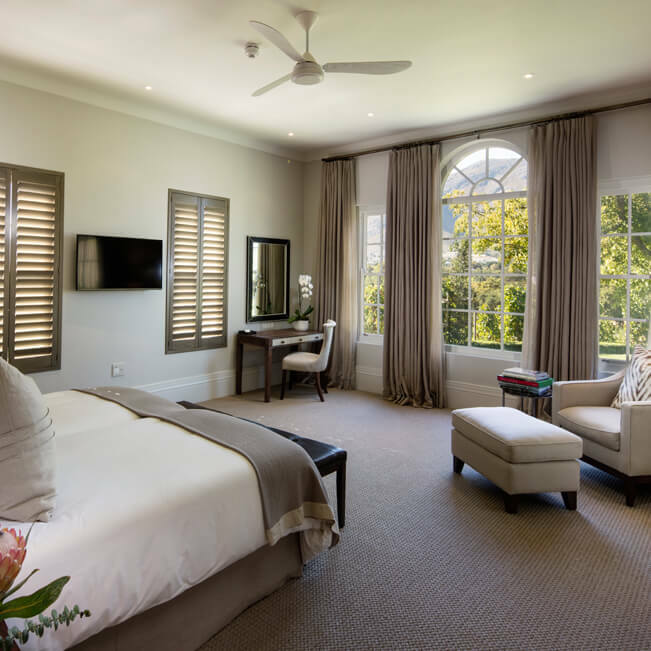 An average size of 42m²/452ft², these rooms are situated in The Manor House and Max House, and offer various views, from the manicured gardens to the farm dam, orchards, vineyards, dramatic mountain backdrops and the village of Franschhoek. 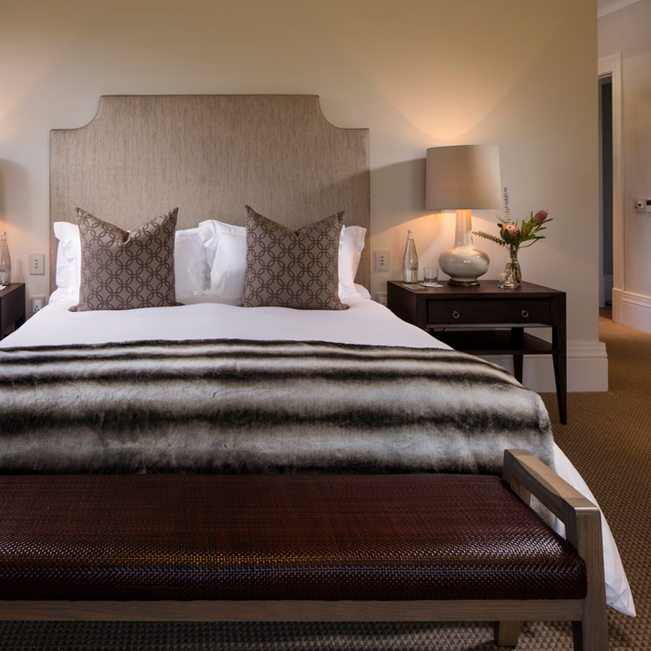 The rooms feature king-size beds (one can be converted into twin beds), a writing desk area, a sitting area and generous wardrobe space. 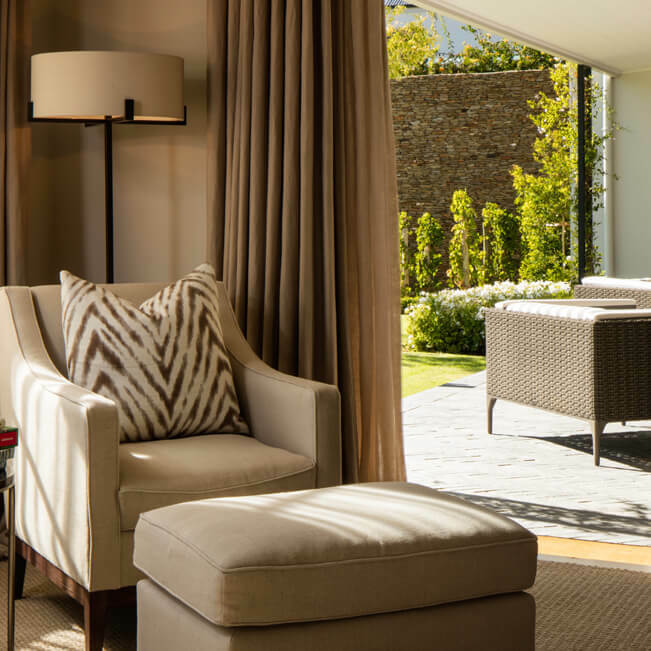 An average size of 55m²/592ft², these rooms are situated in The Manor House, Cellar Cottage and Vineyard Cottage, and offer various views, from the manicured gardens and vineyards to the Franschhoek mountains and village. 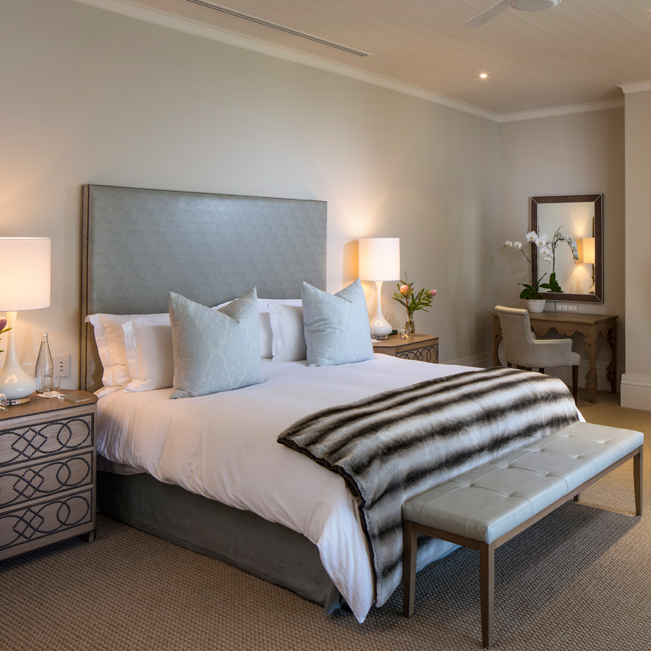 These rooms, each with its own terrace and fireplace, are on average 63m²/678ft² and are situated in The Manor House and above Leeu Spa, with easy access to the spa facility, gym and pool; and Pomegranate Cottage. 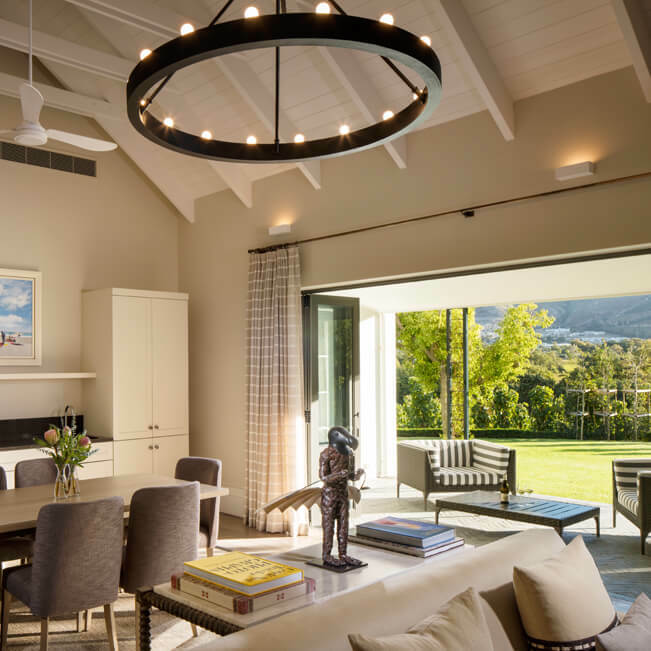 They all offer views of the manicured gardens, vineyards and mountains. 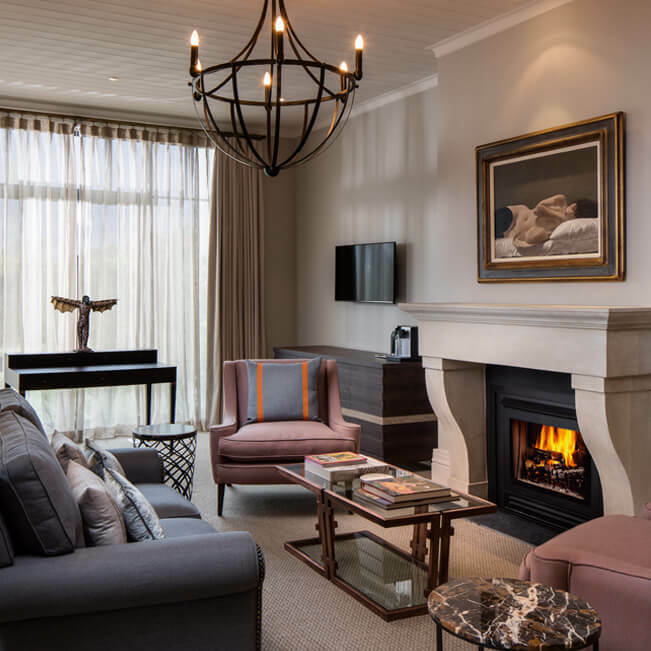 An average size of 97m²/1 044ft², each spacious suite has its own separate lounge area and fireplace. 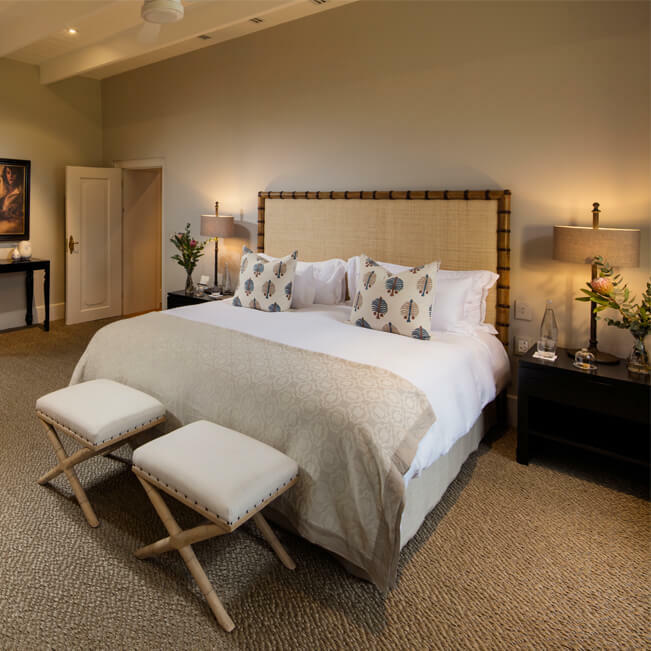 Situated in The Manor House, Max House and Terroir Cottage, they offer various views, from the manicured gardens and vineyards to mountain backdrops. 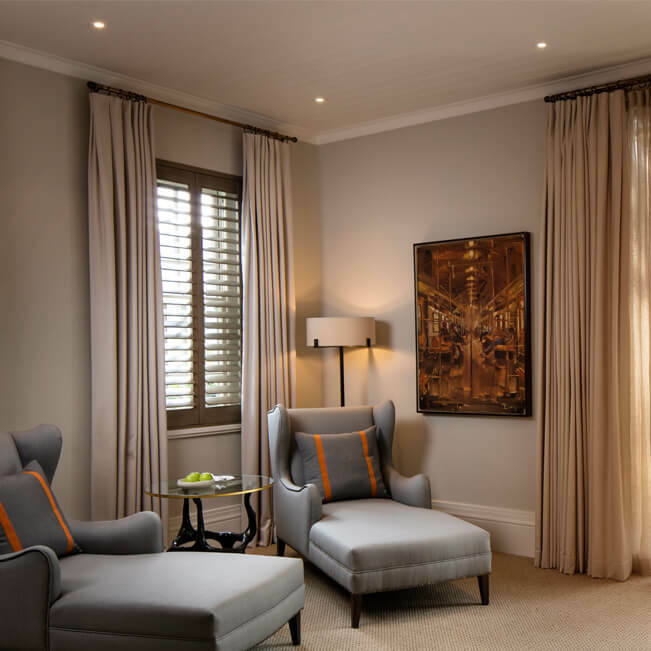 An average size of 94m²/1 011ft², each spacious suite has its own separate lounge area. 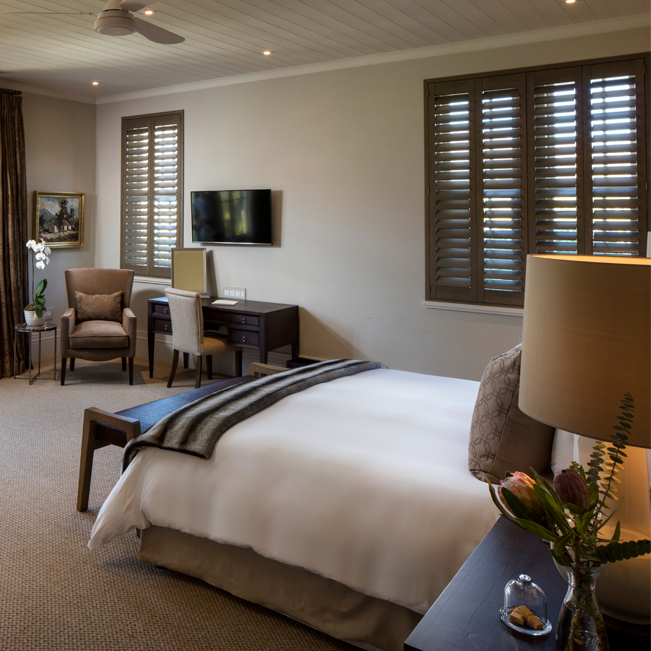 Situated in Cellar Cottage and The Manor House, they offer various views, from the manicured gardens to mountains and vineyards. 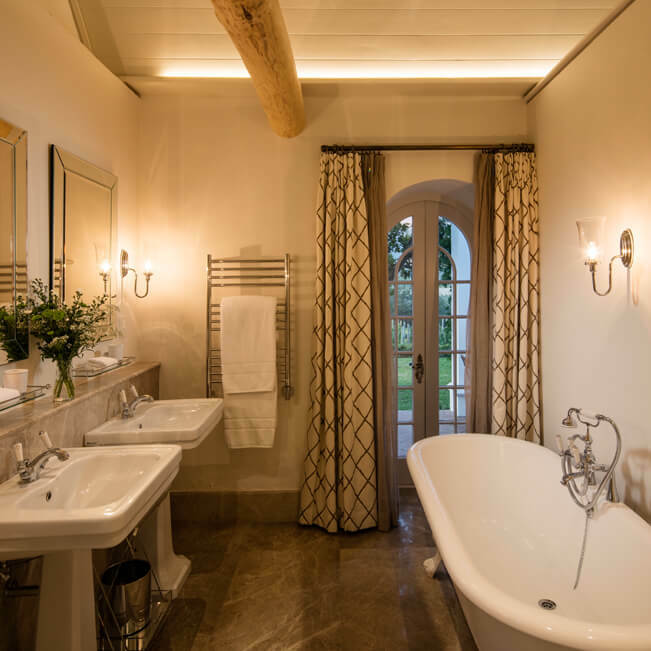 A size of 354m²/3 810ft² and housed in the original cellar, this heritage building enjoys views of the manicured gardens and vineyards. 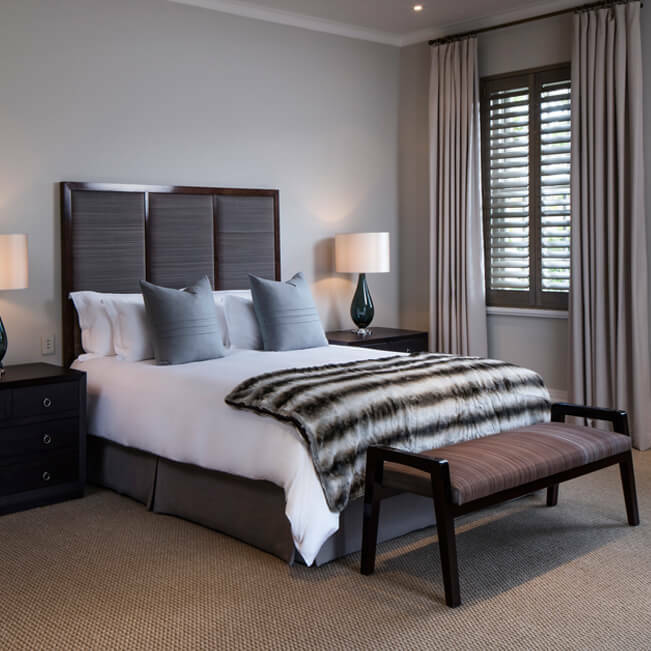 It comprises an Executive Suite with Terrace and a Deluxe Room, two terraces leading off the living room which has a fireplace, a pantry and access to a private garden with a lawn. Children can be accommodated on a sofa bed in the lounge. 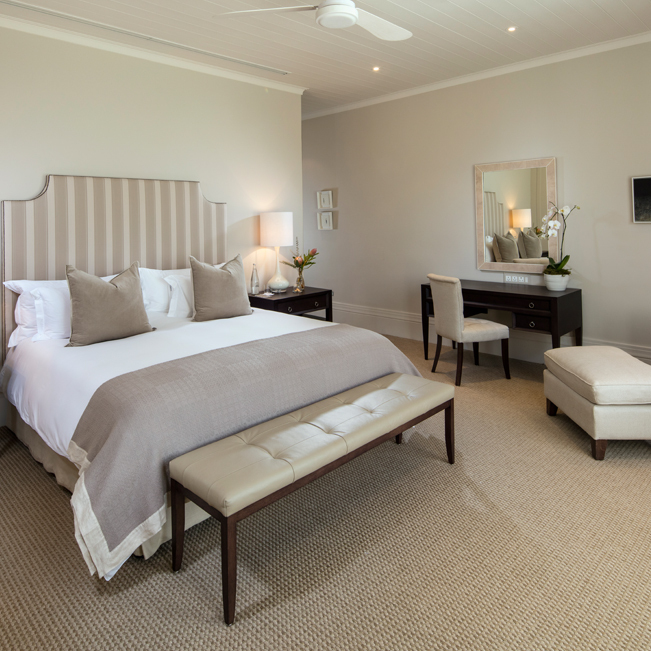 A size of 164m²/1 765ft², Vineyard Cottage offers easy access to Leeu Spa & Gym with its 15-metre swimming pool. 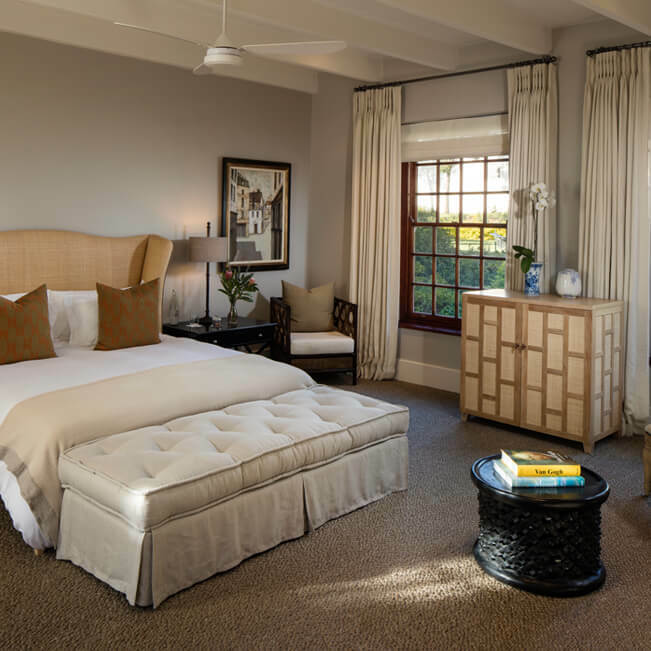 The cottage, which affords views of the manicured vineyards, landscaped gardens and a mountain backdrop, comprises two Deluxe Rooms and a shared lounge. 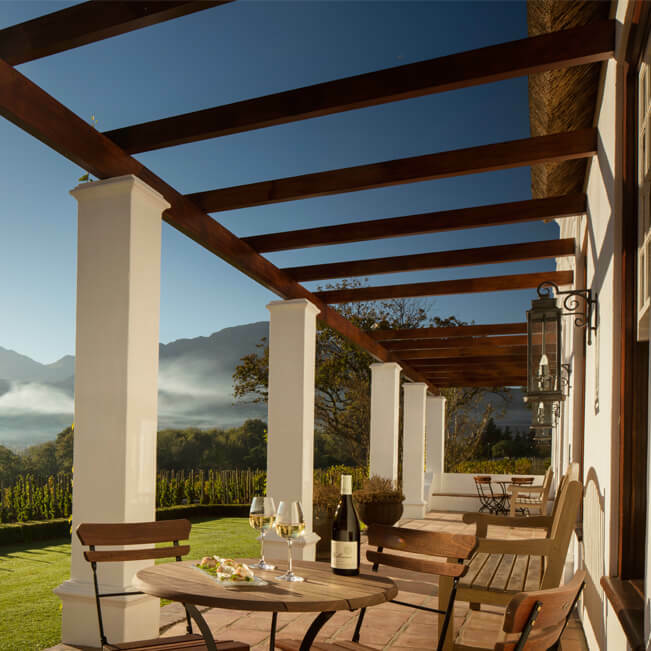 A magnificent terrace overlooks the vineyards. 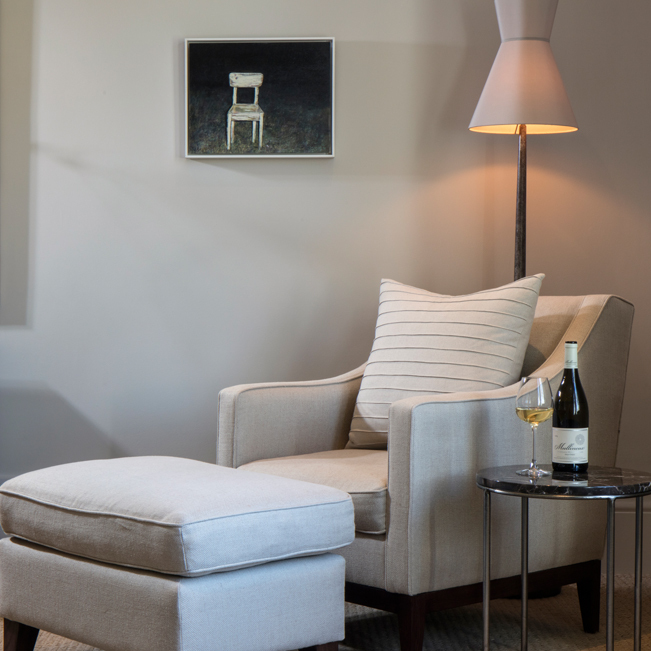 A size of 419m²/4 510ft² and surrounded by vineyards, Max House is housed in an original gabled building that reflects its Cape Dutch heritage. 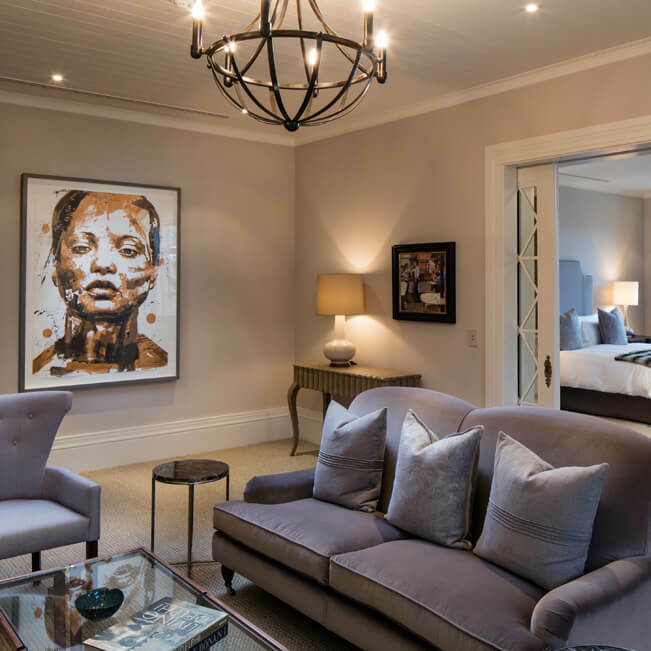 It has a courtyard with a private garden and comprises an Executive Suite, two Classic Rooms, a living room with a fireplace and a dining room. A pantry and a kitchen are available for the use of a private chef, which can be arranged. 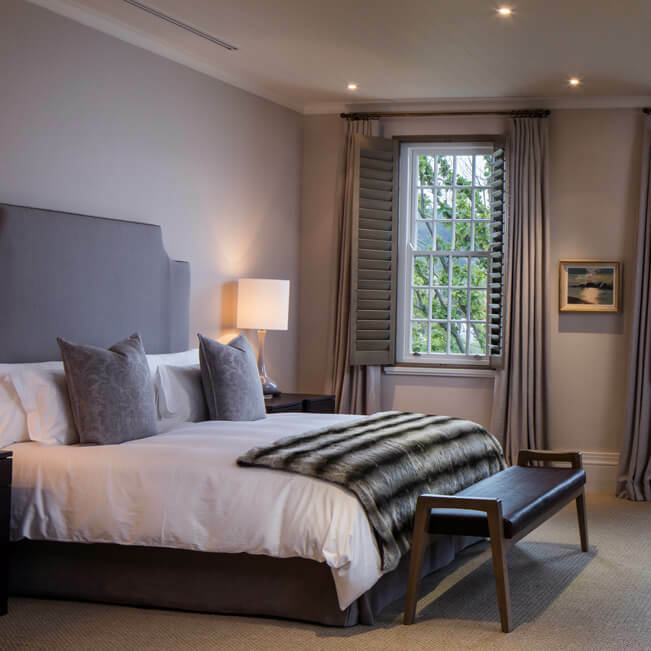 The luxuriously appointed spacious rooms and suites feature bespoke furniture, wool-and-sisal carpets, and textured layers of linen, horsehair, leather, wood and stone in a calm colour palette. 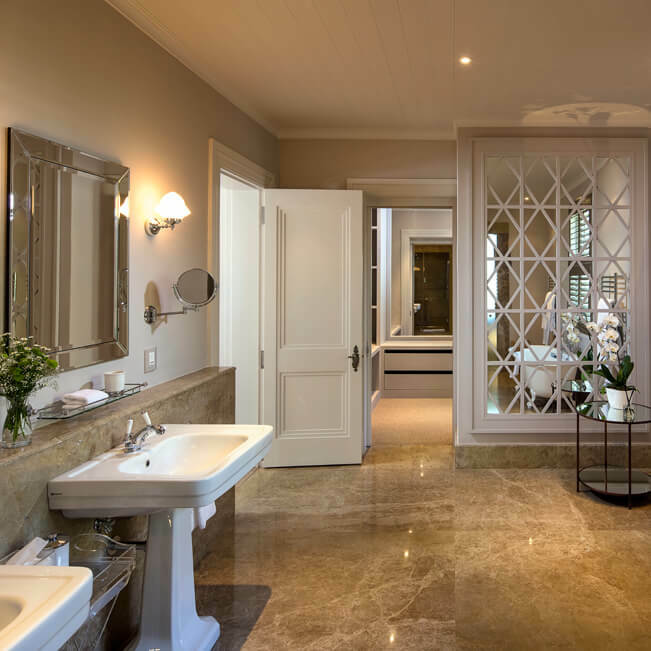 The generous marble-clad en-suite bathrooms have double vanities, rain showers, heated towel rails and underfloor heating as standard. 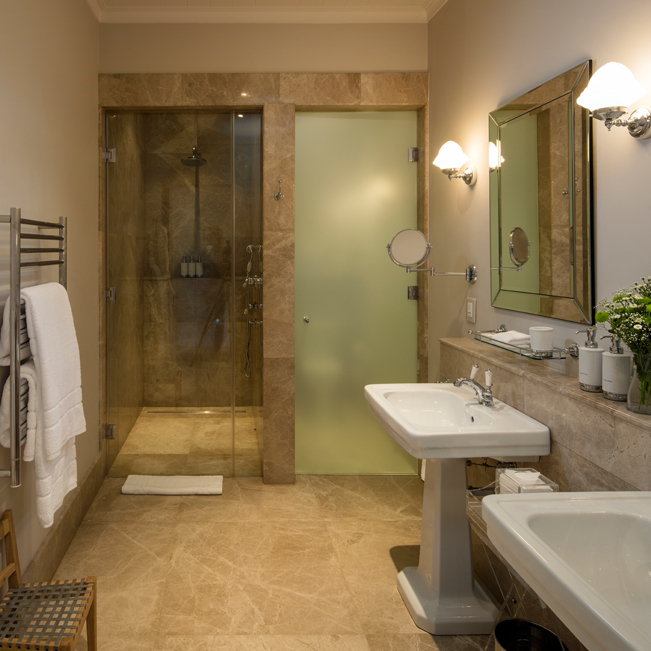 Careful attention to detail is prevalent throughout the property. 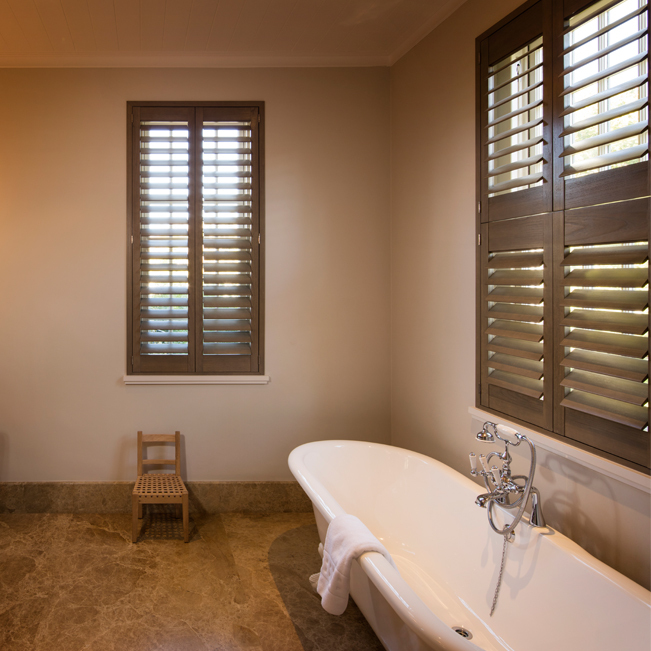 * All bedrooms overlook the vineyards and valley, and are spread over the property. 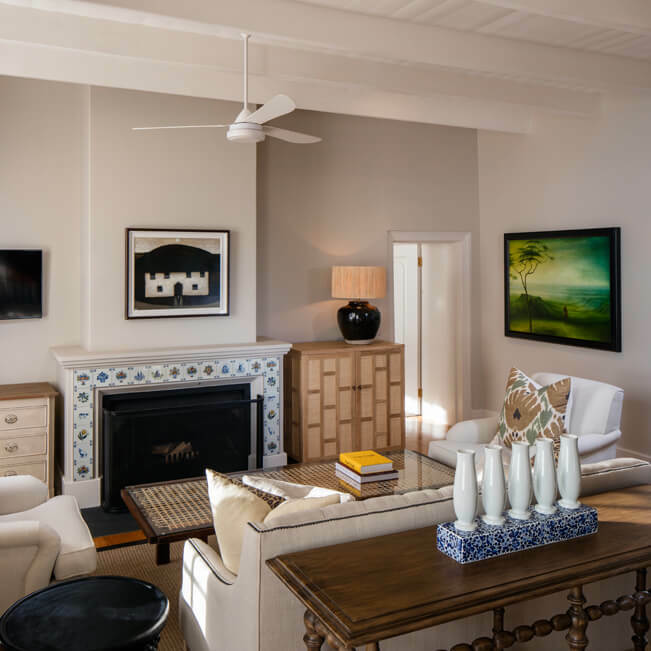 For guests travelling in groups, an entire cottage comprising two or three bedrooms with private living areas may also be booked. 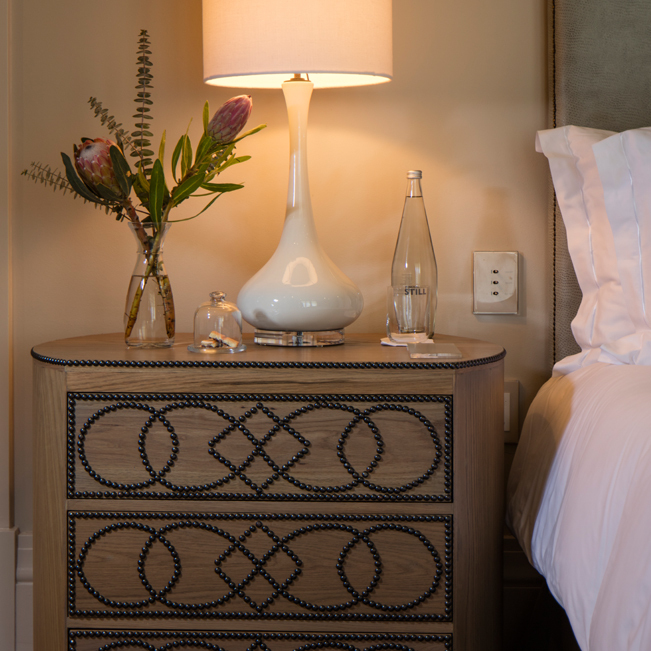 * Rates are quoted in South African Rand (ZAR). All rates are net and noncommissionable per room, per night, based on double or single occupancy. Children between the ages of seven and 12 are allowed in certain cottages on Leeu Estates (Cellar Cottage, Max House and Terroir Cottage). 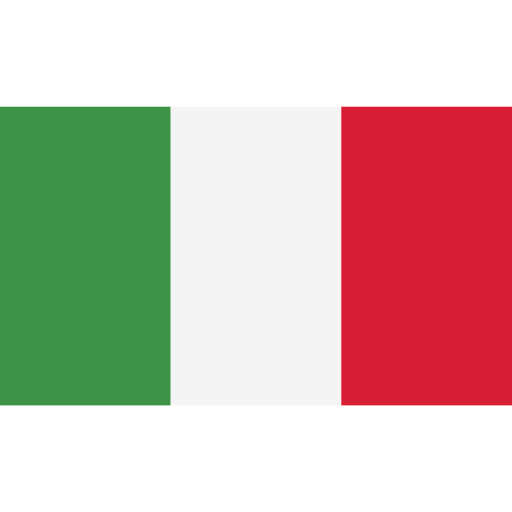 Full non-refundable pre-payment will be required within seven days for bookings made after 01 July of the applicable year in which the reservation was made. 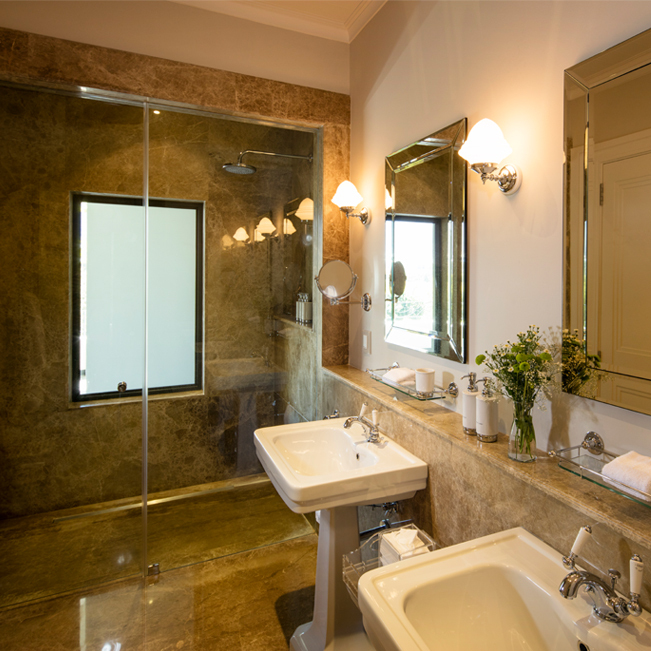 50% of the total accommodation is due within 7 days of confirming the reservation. The balance is due 14 days prior to arrival.